Albert Broussard, a professor of history and a Cornerstone Faculty Fellow at Texas A&M University, will discuss the passage and legacy of the 1965 act on Tuesday (Jan. 20) at 4 p.m. in the Academic Building IV Olson Auditorium. “Why the Voting Rights Act Still Matters” will explore the implications of the act and examine some of the results of the U.S. Supreme Court’s recent decision to strike down parts of the law. Broussard, who has taught at TAMU since 1985, is a recognized expert on recent American and African American history and has written numerous books and articles on equality, the early years of the American history, and African Americans in San Francisco. In addition to serving on several historical societies and associations, Broussard has received the TAMU’s distinguished teaching award and presented the “University Distinguished Faculty” lecture in 2000. 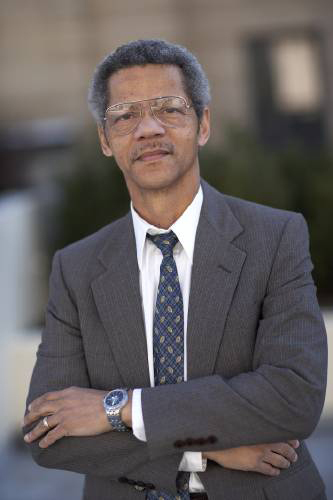 He also has served as the Langston Hughes Professor of American Studies at the University of Kansas. Broussard is currently writing a history of racial activism and civil rights in the American West from 1945 to the present. On Thursday, the department will kick off its new History Club during its first event—a screening of the film “Selma”—at 6:30 p.m. at Huntsville’s Cinestar Cinema. The showing, which will include a brief introduction and will be followed by a club-led student discussion, will be free for the first 100 students who pick up a voucher from the history department office, on the fourth floor of Academic Building IV. 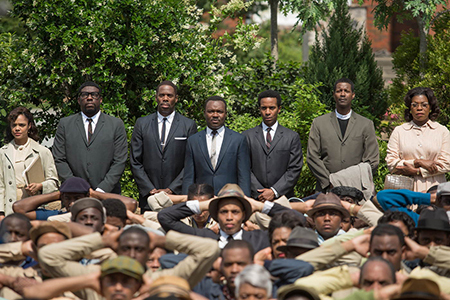 “Selma” chronicles the planning and organization of three marches that took place in Selma in 1965 that ultimately led to the passage of the voting rights act in the summer of 1965. It has been nominated for an Academy Award and garnered Golden Globe nominations for the film itself, for star David Oyelowo and director Ava DuVernay. “The film really is fascinating because it looks at the inner workings and the alliances and conflicts between the black civil rights activists. So, for instance, in the film you see the conflict between the Student Nonviolent Coordinating Committee and the Southern Christian Leadership Conference,” said Jeffrey Littlejohn, associate professor of history. “There are tensions within the movements and the film really explores those tensions and shows why they exist. It also portrays the enormous stress on Martin Luther King Jr. and his associates. The History Club is open to any student who is interested in the field and wants to be active in history and in the community. Upcoming events will include more film screenings, as part of a series; a visit to The Sixth Floor Museum in Dallas; and a trip to the Battleship Texas State Historic Site. For more information on the film screening or the lecture, contact Littlejohn at 936.294.4438, and for more information on the History Club, contact faculty sponsor Jeremiah Dancy at 936.294.3908.